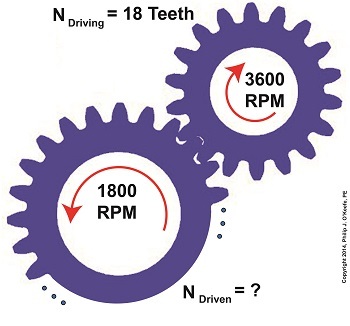 We’ve learned several methods to increase the torque of an electric motor through our series of articles on gear trains. 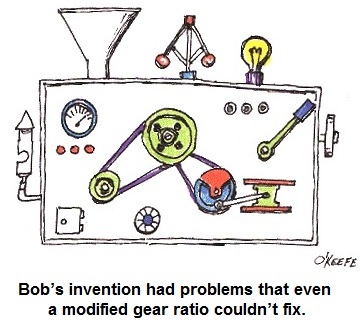 One way is to attach a gear train to the motor’s shaft, a relatively simple thing to do. Today we’ll begin our exploration into how this method involves a tradeoff. It comes at the cost of speed. 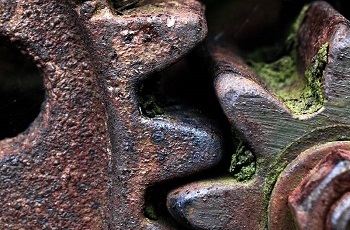 We’ll begin our examination of the tradeoff at play by linking together key elements learned through past blogs on the subject of gear trains. We’ll revisit those lessons through flashbacks. The tradeoff we’ve been alluding to comes in when gear speed, nDriven, represented in equation (1), is decreased, which results in an increase to TDriven in equation (2). But in order to see this we’ve got to somehow link the two equations together. In their present form there’s no common link between them. Or is there? Next time we’ll see how equation (5) is key to linking together equations (1) and (2) by way of equations (3) and (4). 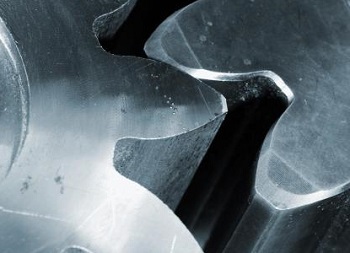 In so doing we’ll disclose the tradeoff to using gear trains.